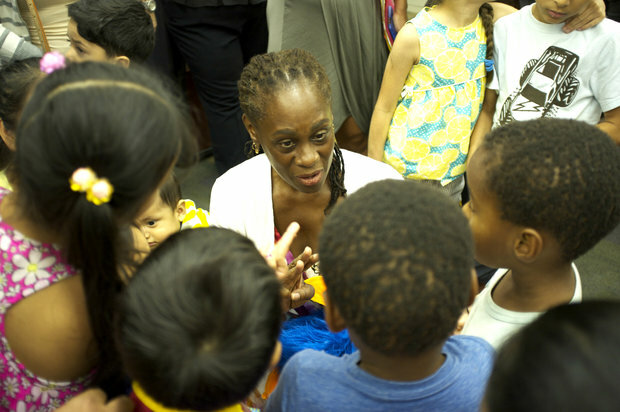 First Lady Chirlane McCray meets with local Jackson Heights kids at an event at their library on July 15. 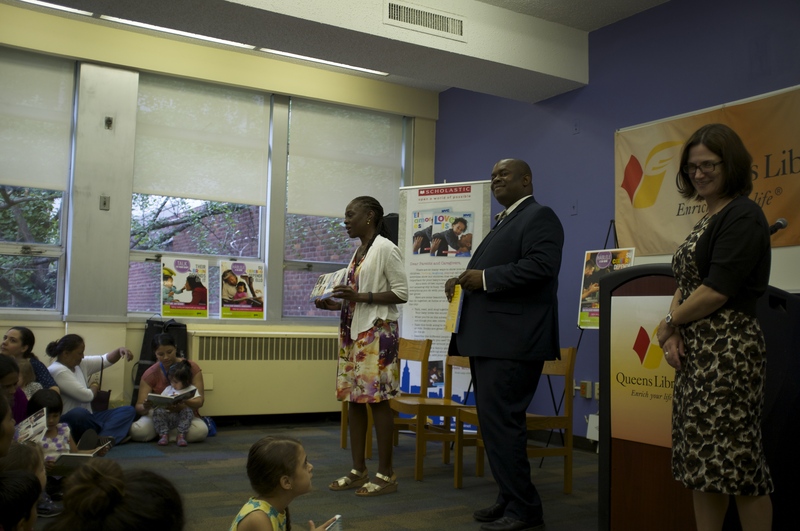 JACKSON HEIGHTS —First Lady Chirlane McCray and Deputy Mayor Richard Buery visited a local library's story hour Wednesday as part of a citywide tour to discuss the importance of reading to your kids. The pair, who were also joined by the interim president of the Queens Library, Bridget Quinn-Carey, read and sang with Jackson Heights kids and their families. McCray, while reading the book to the attentive crowd, began singing favorite songs and encouraged others to join in. Children also received copies of "Love Is," a collaboration between the city and Scholastic publishers that was inspired and edited by McCray, according to the city. The book will be part of 200,000 "book bundles" handed out to children across the city through programs. 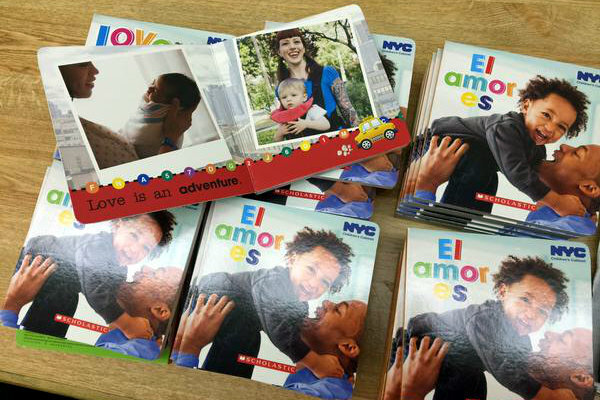 "Love Is," which is also written in Spanish, features stock photos of New Yorkers and their babies around the city doing things that can express and share love. "Love is an adventure," the book starts. "Love is a song." It's one of the ways parents and caregivers can boost communication with their babies and help bridge the "30 million word gap." Reserch has shown that children born into low-income homes hear about 30 million fewer words than those born into higher-income households, Buery said. He heads the Children's Cabinet, a collaboration between multiple city agencies formed last year to address issues facing city kids. 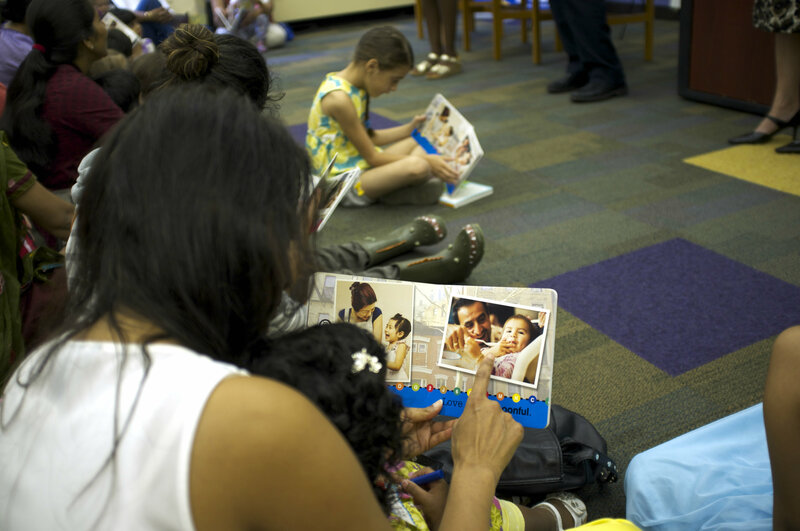 "This is an opportunity to help encourage families, to talk to caregivers and parents about the importance of reading to their children every day — not just at bedtime, but every moment," he said.